Leading glass container manufacturer and bottler, Encirc, has received its first shipment of recycled cullet to its new purpose-built railhead in Elton, Cheshire. The delivery marks the opening of the new terminal, which is expected to reduce Encirc’s operational carbon emissions by more than 2,400 tonnes every year. The new railhead also will allow the manufacturer to receive 78 per cent per cent of the sand it needs by rail. By connecting to the British rail network, Encirc is considerably reducing its reliance on roads by around 6,600 HGV journeys every year. The site the manufacturer occupies in Elton was once a power station that operated its own railhead. Since opening its Cheshire plant in 2005, Encirc has invested in redeveloping the trainline. Andrew Morris, Head of Logistics at Encirc said: “The reopening of the railhead has been a ground-breaking development for us. We know that our customers – much like ourselves – place sustainability high on their list of priorities. By investing in our new terminal, we can continue to make their supply chains more environmentally responsible, and considerably reduce the carbon footprint of our containers we produce. The November shipment comprised 1,600 tonnes of recycled cullet from the UK’s largest glass recycler, United Resource Management (URM). 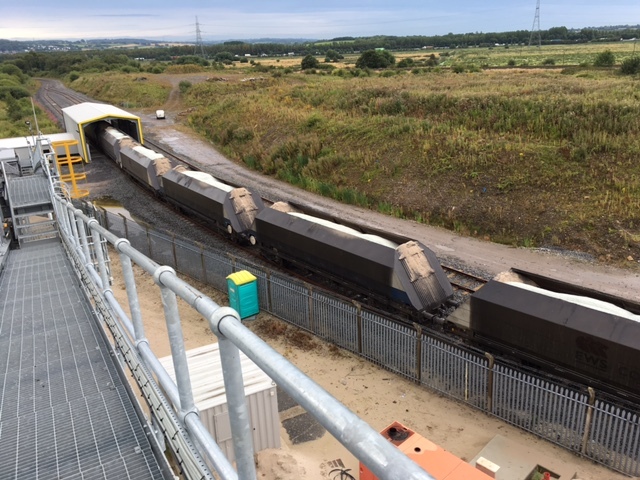 Mark Wilson, Chief Executive Officer of URM, added: “URM has invested £20m in the latest recycling technology in a new facility based at Tilbury Dock, London. Part of the Vidrala Group and based in Elton, Cheshire and Derrylin, NI Encirc is renowned for having one of the most sustainable beverage supply chains in the world. The company uses cutting-edge technology to offer customers a 360-degree service. This involves making the glass containers, filling them with beverages and distributing the finished products to the market.